In other words, travel experiences are not merely products to promote, but require coordinated efforts to improve upon and build value for residents and visitors alike. Marketing Liverpool is embracing this change. Liverpool is a destination with global cultural impact; it’s the birthplace of The Beatles and home to important U.K. institutions. It’s also an appealing waterfront city that attracts U.K.-based “staycationers” and international travellers. Peter Smith is Head of Marketing for Marketing Liverpool, and here he describes the DMO’s shift toward experience development, offering a glimpse into the biggest challenges and some advice for destinations following this trend. David Archer, Destination Think! : Can you describe Marketing Liverpool’s efforts toward experience development? Peter Smith, Head of Marketing, Marketing Liverpool: These efforts are still quite recent. We’re at that beginning of that journey. But what we recognize is the importance of a DMO in creating those positive and inspiring experiences. It is about that shift from destination marketing to destination management. The overriding reason for doing this is that if we’re making promises and appeals in our marketing communications, we need to be able to keep those when people arrive in the city. To overpromise while not delivering on the experience isn’t the right thing to do. So we want to be more involved in shaping those experiences within the city. Can you describe your role in shaping those experiences? One role is to show event organizers and conference organizers what’s possible within the city. Connecting those people with operators, understanding what they want to achieve in conferences in the city and then doing some free thinking about how can we make this conference special so that delegates go away and want to come back as visitors, or bring us repeat business from the conference. So I think a role of facilitating is important. We’ve been able to connect with some of the assets and operators in the city that might not be familiar to conference organizers. For example, we’ve got some really amazing architecture in Liverpool, things like Liverpool Cathedral, probably the most recognized cathedral in the U.K. outside of St. Paul’s Cathedral. We’ve been working with conference organizers to help them host big events and gala dinners which has given their conferences a wow factor. We’ve been able to put on some quite special events with conference organizers and the delegates have gone away really impressed with the city. ExploreGB, VisitBritain’s flagship event for international travel buyers was a great example in 2016. How is this role changing? Our role as a DMO is changing because it’s not just about marketing and selling anymore, it’s about product development, it’s about project management and it’s about getting in on the ground floor a lot more in terms of realizing these experiences in the city. We’re responsible for One Magical City, the city’s Christmas campaign, which has a multitude of different partners and operators together to create a big, signature event. Have your budgets been shifting to reflect that change as well? Yes. We’ve been under a lot of pressure with public budgets, because a lot of our funding has come from the public sector. And more of our work is about working commercially and delivering partnership projects. MIPIM, Europe’s biggest property and investment exhibition, and One Magical City are good examples, and also the work we do to develop our own experiences in and for the city. But sometimes it’s not about the pure finance, it’s about providing a leadership role as well. Can you describe that leadership role? One example has to do with our famous waterfront, which for many years was a very neglected, underused asset of the city. But in the last ten years, it’s become a hugely important visitor destination for the city. Marketing Liverpool has played a leadership role in providing a vision for what we want the waterfront to be. We want it to be a 24/7 environment so that people want to see attractions in the day, and then they want to go for lunch in the afternoon, and then take in some museums and galleries before seeing a show or a concert. They can all do all of that on the waterfront. We’ve played a quite an important role in terms of bringing that whole experience together and making sure that all of the operators are working together in a coherent and intuitive way. What is the biggest challenge you face as you develop experiences in Liverpool? The funding landscape has changed a lot and that remains a major challenge. But beyond that orchestrating different experiences into a single coherent narrative takes a lot of work, too. 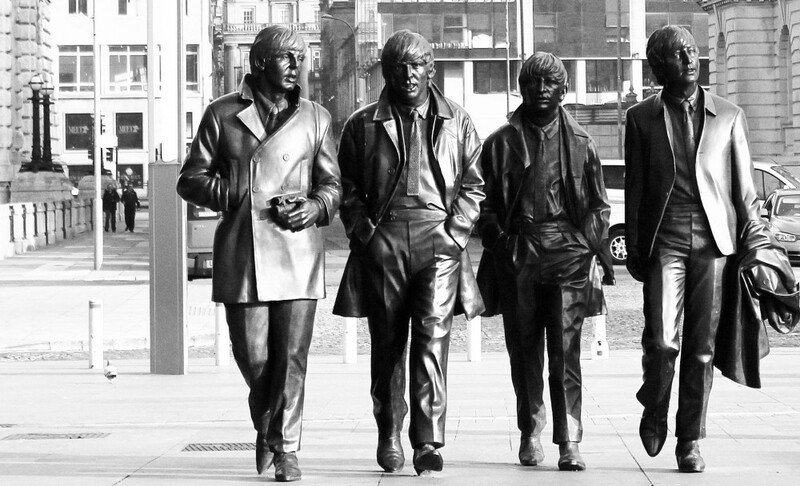 Take The Beatles in Liverpool as an example. That’s a really important story to tell. But it’s not just about how The Beatles were a massive success and took over the world with the legacy that still exists now. There’s actually another story to tell, which is about the childhood of The Beatles. We have properties in this city managed by the National Trust, the childhood homes where you step back in time to the 1950s and 60s and see those early years that made John Lennon and Paul McCartney the amazing artists that they were. And then you have places like The Cavern Club, which is where they learned their craft before they went to Hamburg and then came back and changed pop music. There are quite a few stages in the story, and they’re knit together into a seamless knot. The challenge is in bringing together those operators to make sure that experience is seamless and that there is continuity that makes sense to people when they visit the city. Do you have any advice for destination marketing organizations who are also moving toward experience development? Understanding that customer journey is really important for us. That means understanding the different stages and experiences that people have when they come to the city. It can be the big projects, like working with Liverpool Football Club or working with The Beatles’ story. Or it can be something more simple, like finding the micro moments that can make a difference to someone’s experience. Every interaction matters. But fundamentally, the most important part is to have partners and stakeholders on board. Some partners and operators will still be of the view that DMOs should stick to the marketing and the selling, while they look after the experience. The important thing is to get partners enthusiastic about being able to collaborate on developing experiences. And also to start small, experiment and test a few things, to build knowledge and confidence. We need to make sure that we can deliver on the promises that we make as a DMO when people arrive in the city. Collaborating with partners is a big part of the lesson we’ve learned.